What's your most successful program and why? The most significant fund we manage is Jimbo's Fund, remembering the philanthropy of Jimi Heselden, a successful business man who wanted to give back to his home city. Since he sadly died in 2010, Jimbo's Fund has been managed by his family. From the original donations totaling £23m we have since distributed over £15.8m in grants (including capital projects for Leeds Mencap and The Old Fire Station). Impressively, after all this, Jimbo's Fund still has £13.6m in endowment – meaning the original £23m donation to the Fund has become worth £29.4m so has grown in value by £6.4m. Jimbo's continues to be highly oversubscribed, reflecting the activity and need for the investment across the city. In 2016 we launched the Leeds Fund. This fund has now distributed almost £1million across Leeds, supporting our strategic priority (Mental Health) and community cohesion and investment programmes including really small, ‘micro' grants. There's more about the Leeds Fund here. What drove you to take on the role as CEO of Leeds Community Foundation? I have been incredibly impressed with the work of community groups in receipt of our funding, hard working, inventive and efficient in their solutions generated by communities. This work is local and intense, incredibly valuable, and vital to the health of our society as a whole. Leeds is good at this, but we can always look to do better. I look forward to working with other partners in the private and public sectors to ensure this community investment is even more joined up and long term. 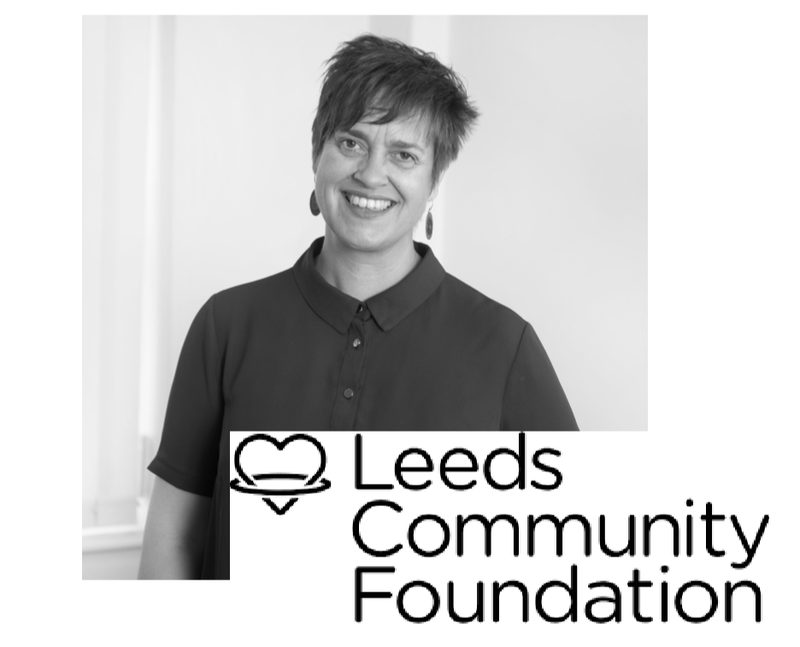 What's the idea behind the Leeds Community Foundation? Leeds Community Foundation is creating a city of opportunity for all. We work together with partners to create positive change with the communities that need it the most, by investing funding and expertise to build a better future. There are community foundations all over the world, all working hard to raise money well for their locality through intelligent philanthropy, and then give that money out well, through intelligent grant making. That has made us the biggest independent grant maker in Leeds and Bradford. Where does most of your funding come from? Details of our portfolio of funding can be seen here. We use the earnings on our investments for grantmaking, as well as a mix of funds from private and public sectors, and distribute on behalf of national charities and funders like the Henry Smith charity. We work hard to ensure all our marketing and events are sponsored so that our promotional work is cost-neutral. Could you tell us more about Grassrooots Grants? Grassroots Grants programme was a match funding scheme whereby the government matched philanthropic funds raised locally. The match fund scheme finished in 2011 and has sadly not been repeated, we could do with another one! Do you only work with organisations in Leeds? If not, could you give some examples of the work you do and where? No! We also run GiveBradford, a similarly ambitious development for Bradford – more here. We sometimes distribute across all of Yorkshire, or even the North of England, depending on the fund and beneficiaries. What challenges do you face as an organisation? We set ourselves steep targets every year to ensure we can give out the kind of investment in the cities of Leeds and Bradford that provide opportunities for all. Yorkshire people are generous, and there are a lot of demands made upon them. We work really hard to match our donor's goals, finding a synergy, where possible, so that everyone benefits. If we can help donors to invest in community solutions, devised and implemented by the community, then the effect is much longer term, and sustainable. Is there anything that you wish more people knew about your organization or the issues you are trying to solve? Working with Leeds Community Foundation is a great way to be strategic about your philanthropy, and ensure that you are really helping your local communities. These local solutions are sustainable and efficient and create positive change in the communities that need it most. These community groups may not have names that are nationally recognised, but their work is vital to our society, so by helping Leeds Community Foundation to invest in them, you are really helping yourself and your own company. If our readers wanted to get to know the organisation better, what are the best ways to learn more? Check out our web site – much more here! How can companies get more involved? Ideally – join our 100 Club! More details here.